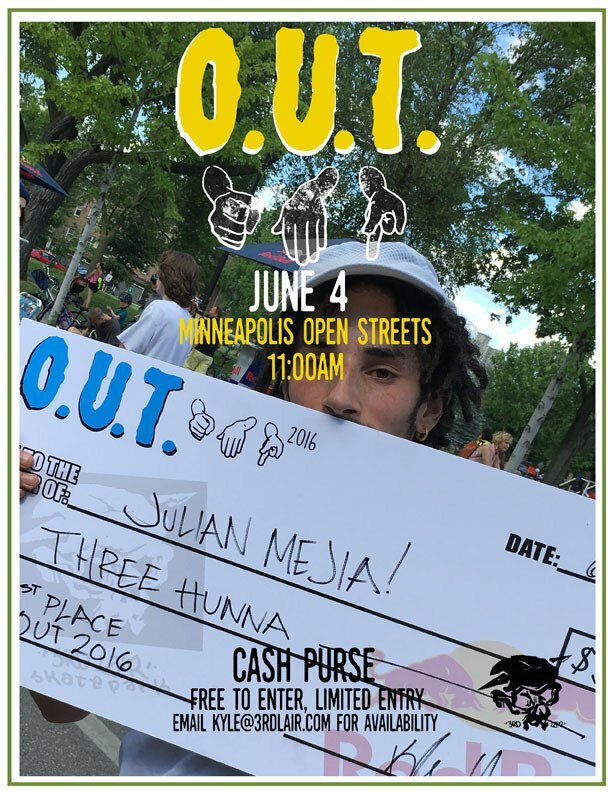 Join City of Skate at Open Streets Minneapolis Sunday 6/4 at 27th and Lyndale! The annual O.U.T. contest is the longest running event hosted by 3rd Lair. This flat ground, tournament style contest will highlight some of the most talented and technical skateboarders in the Twin Cities. We are excited to cohost this event in partnership with our friends 3rd Lair, Cal Surf and Minneapolis Open Streets. Back for the seventh year, come experience Lyndale Avenue in a whole new way with car-free fun! This year the route has been extended all the way to 54th St! Open Streets Minneapolis brings together local businesses, families, and neighbors to bike, walk, socialize, play and shop in their communities.